The hand of industrialist Vijay Mallya tells us that he is determined and ambitious, and his hands seem to collaborate most of what is known about him. However, they also reveal an aspect of his personality that is not so well known. the man beneath. Check out a hand photo of his here and here. Vijay Mallya is not driven by a need to amass money. That would bore him. He is ambitious certainly, but the shape of his Jupiter finger tells us that he has an idealistic streak. He would be choosy about the businesses he would enter. He would want to do things he likes and enjoys. He wants life to be colourful and interesting. Sure, he wants to be known for his talent, but not as a money-making businessman. The shape of his Apollo finger clearly tells us that he has talent, and his Saturn phalanges reveal that he is a thinker with superior analytical ability. His Apollo tells us of his risk-taking ability. From whatever little one sees of his Headline, it points to good concentration and a mind capable of keeping emotions in check. Vijay Mallya likes a good life, but his strong willpower and determination (thumb) ensure that he keeps his life in balance. His hand tells us (development of the lower part of his hand) that his physical side is a little too strong, and people with such a sign can waste their life. But not Mallya. While satiation of the physical self does consume him, the middle of the hand is also well developed. This tells us of a person for whom living well is not enough; business and work are equally important. With a good thumb to give him direction, as well as a good Saturn finger, Mallya would not like the frivolous side of his life to interfere with work. His Apollo finger tells us that celebrity and fame mean a lot to him. Name and fame are most important. He is a good man at heart and loves people and animals. Oddly enough, in his heart of hearts, Mallya does not like too much responsibility (from his Jupiter finger and mount) and there seems to be an inner lack of confidence. This is a part of him no one knows and interestingly this sign does not seem to be present in his left hand. This means that something in his childhood had an adverse impact on him. The placement of his fingers and the way he holds his thumb shows that for all his camaraderie, Vijay Mallya is fairly secretive and difficult to approach. He would have few close friends. He can be quite closed to diverse opinions or other ways of life, a type of narrow thinking. As he grows older his ability to see other points of view improves. 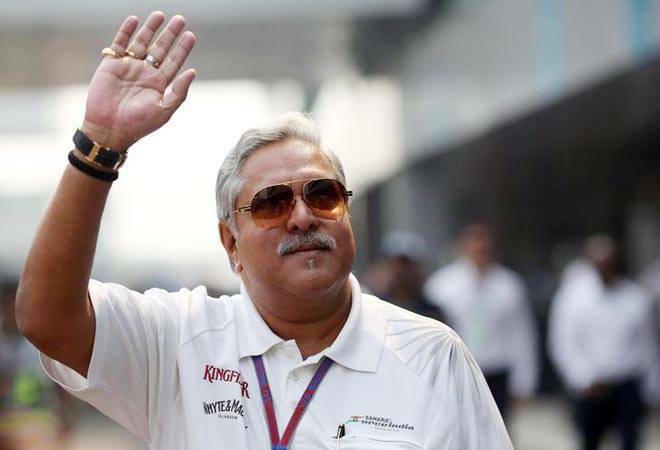 Like many successful leaders, Mallya’s hand shows a very strong will and the ability to control others. He also has the ability to draw others to him and can be very persuasive and charming. However, his strength is excessive, and when combined with his set and determined ways, can make him despotic and manipulative. Unfortunately, Mallya's hand shows him to be overly pushy and aggressive, and he would insist on getting his way even if it means pushing someone aside. The development of his lower phalanges and hand shows that this strong desire to control others is expressed in a crude fashion. Although he would be difficult to live with, he appears to have the qualities (high ambition, aggressiveness, willpower and focus) that a person requires for success. You might also like to read Mukesh Ambani's hand reading or Laxmi Mittal's Hand Reading or What Anil Ambani's hands tell us or check out the Hand Analysis of Bill Gates or find out the personality characteristics of Businesspeople from different parts of the world. That sounds interesting! well, I wouldn't put anything past him. He is an unpredictable sort of person! 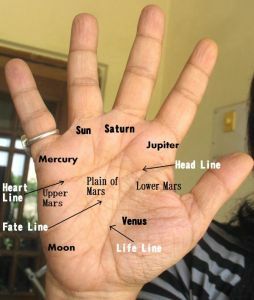 Hi Nita very informative blog...have one doubt what is the significance of the line in the Sun mount...I can see a bold line traveling towards his ring finger...thanks. Green Umbrella, the presence of the Sun Line usually means status in society. However the strong line you see is his fate line, which is good and strong and travels up to the mount of Saturn (middle finger). This tells you about the career, academics, financial situation, the exact reading to be read from the other lines on the hand. It is clear from his line that he had a fairly comfortable career/finances right from his childhood. I have a sun line branch from fate line but sun line and fate line end on heart line . . . Could i become rich . ? I feel that i am not success in finance. . . Could u tell me? narin, it is not possible to tell from the information you have given here. Whether you are good at finance or not, can be told from seeing your whole hand from which one can make out the strengths and weaknesses of the person. Anonymous, our hand is the reflection of our minds and brains. It is not the other way round. Our mind is NOT the reflection of our hands! Therefore our hand only reflects who we are and only if we have the ability does it show on our hands. That is because I cannot predict anything unless I get a clear and high resolution picture of a hand. This reading is basically based on the shape of the hand, mounts etc.